JESUS CHRIST, KING OF THE UNIVERSE This Sunday is the Solemnity of Our Lord Jesus Christ the King, the last Sunday of the Church year. Next Sunday will be the First Sunday of Advent and the first day of the Church’s calendar (Year A). PRE-ADVENT FAYRE is this weekend. 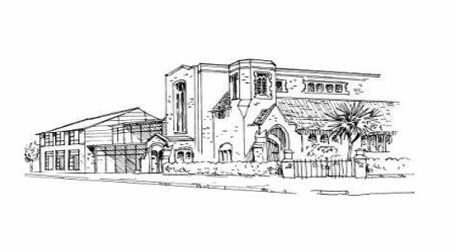 Pop into the Hall after 6pm Mass on Saturday, & on Sunday, after 9.30 & 11.30am Mass only. Proceeds to go to St Joseph’s School in Boffa, Guinea. Please give your support. CONFIRMATION 2017 forms are to be returned no later than TODAY Sunday 20th November, in person to Fr Uche, or through the Presbytery letter box. MOTHERS PRAYERS – This month’s meeting in the Lady Chapel is as usual on the 4th Tuesday of the month – this Tuesday 22nd – at 8pm. All welcome. BILLINGS NATURAL FAMILY PLANNING: Thursday 24th November. Couples who are interested and would like more information are encouraged to drop in at St Joseph’s Pastoral Centre PC2 (upstairs on the first floor) between 7.30 and 8.30pm, where there will be someone to answer your questions. NEW ALTAR SERVERS’ TRAINING – last session is this Friday 25 November. CHRISTMAS PARISH LUNCH – is on the 2nd Sunday of Advent, 4th December., @ 1pm. If you haven’t yet signed up on the list in the narthex, please do so by next weekend, 27th November, so that our dedicated and hard-working team can be aware of numbers and prepare accordingly. Please pre-pay if at all possible. NB. Because of the preparation for this lunch, there will be no refreshments after the 9.30 Mass, and no Children’s Liturgy in the Hall on the 4th December. ADVENT & CHRISTMAS IN OUR BOOKSHOP Visit us in the Pastoral Centre to browse our wide variety of Charity Christmas Cards, Advent Calendars, Advent Wreaths & Candles. See our wonderful range of children’s Christmas story books, colouring books and other gift ideas. Every Catholic home needs a Christmas Crib – come in and see our selection of Cribs and Bambini. Come and browse after any weekend Mass. EXTRA-ORDINARY MINISTERS OF HOLY COMMUNION & READERS We are inviting parishioners to contact the Parish Office if they are interested in becoming Readers at Mass, of if they would like to nominate others to be considered for Commissioning as Extra-Ordinary Ministers of Holy Communion. NEW HYMNBOOK SPONSORING – The parish has bought new hymnbooks which will start being used from Advent. If you wish to sponsor one or more of them In Memory of a Loved One, or In Thanksgiving for someone, please email or write to the Parish Office with the name you wish to appear on the inside of these hymnbooks. The price for sponsoring each book is £8, so please include that in cash or a cheque payable to ‘St Joseph’s Catholic Church’. USED UNLOCKED MOBILE PHONES FOR THE REPUBLIC OF GUINEA – If you have a working UNLOCKED mobile phone you no longer need, please consider donating it to someone who is in desperate need. We are hoping to send working mobile phone to the Republic of Guinea in time for Christmas, so please drop any of these phones – weekends only – by Sunday 11th December, in a special box provided in our usual drop-off point next to the fayre boxes. SHINE A LIGHT APPEAL – Will you a Shine a Light of Hope for families in Syria and Iraq this Advent? Stand up for faith and freedom on #Red Wednesday, 23rd November 2016, when Aid to the Church in Need are marking the launch of their Religious Freedom in the World Report, the following day. This is ACN’s landmark assessment of persecution and intolerance around the globe, and #Red Wednesday is happening to honour those killed in acts of religious hatred and in solidarity with millions of people, targeted for their beliefs and living in fear. In partnership with ACN, on the evening of #Red Wednesday, Westminster Abbey & Westminster Cathedral will light up their iconic facades in Red. This profound act of solidarity will be joined by other faith groups as a tribute to all who, in recent times, have suffered injustice and risk their lives for their faith. You are invited to be a part of #Red Wednesday and make a stand against religious persecution and for peace and tolerance by: •wearing a distinctive item of red clothing on 23rd November – a symbol of the innocent victims of religious persecution, and share posts and tweets using #Red Wednesday •hold a One Minute Silence to reflect on and pray for people who suffer for their beliefs •get informed and read ACN’s Religious Freedom in the world Report findings at Religion freedom report from 24th November Please get involved – this is important for all of us! We need to make our world a safer place. Thank you for you solidarity and prayerful compassion. Christ Jesus, I acknowledge You King of the universe. All that has been created has been made for You. Make full use of Your rights over me. I renew the promises I made in Baptism, when I renounced Satan and all his pomps and works, and I promise to live a good Christian life and to do all in my power to procure the triumph of the rights of God and Your Church. Divine Heart of Jesus, I offer You my efforts in order that all hearts may acknowledge Your Sacred Royalty, and that thus the Kingdom of Your peace may be established throughout the universe. Amen. OTHER SERVICES Rosary: Monday- Saturday after the 10am Mass (except Thurs) Eucharistic Adoration: Thursdays from 10am Mass, all day, until 9pm. CONFESSIONS Thursday 6.30 – 7.30pm; Saturdays 10.30 – 11.30 & 5.15 – 5.45. Father Uche Njoku joined St Joseph’s as parish priest in September 2016. Born in Nigeria on 13 July 1967 he joined the Holy Ghost Fathers at the age of 16 and was ordained a priest on 23 July 1994. He worked in Guinea Conarky as a missionary for nine years before coming to England in 2005. Between 2005 and 2006 he studied for a Masters degree in Justice and Peace at the Missionary Institute London, Middlesex University. From January 2007 to June 2007 he was Assistant Priest at St Peter the Apostle Chruch, Leamington Spa. 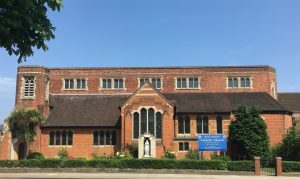 From June 2007 to January 2012 he was Parish Priest at St Philip Neri Church, Smethwick and Priest Chaplin at St Paul’s School for Girls, Edgbaston, in the Archdiocese of Birmingham. 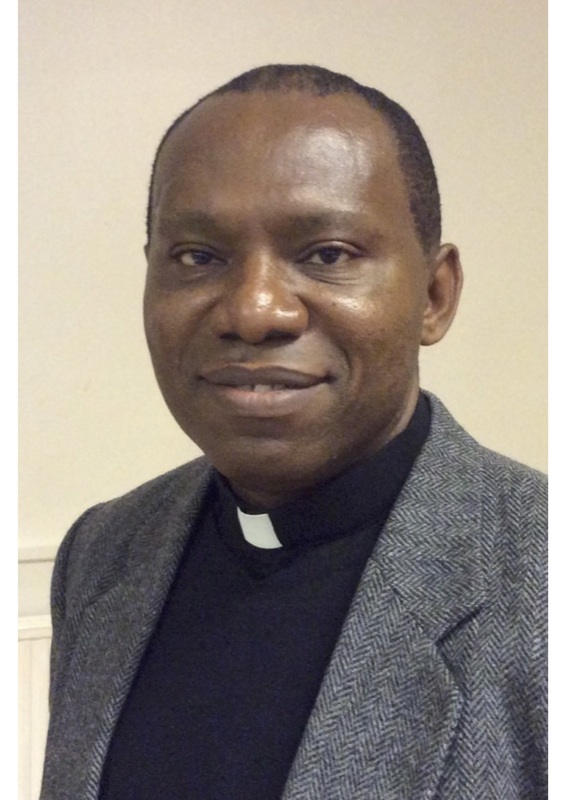 From April 2012 to November 2015 Father Uche was Parish Priest at Our Lady of Grace Church, Charlton. In September 2015 he applied to the Archdiocese of Southwark for Incardnation. In March 2016 he was appointed Parochial Administrator of St John Fisher Church, Merton and on 13 June 2016 he was Incardinated into the Archdiocese of Southwark.